Play these Flash or HTML5 based online slot machine games provided by WGS at Top Free Slots. No download required to play the games - just click on the image and wait for the game to be loaded in your browser window. You can play all these WGS Slots for free or try your luck for real money at sponsored online casinos. You can play classic slots or 5 reel video slots with multiple lines of payout, exciting bonus features, and wild and scatter symbols to increase your winning potential. 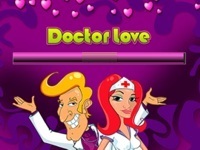 Doctor Love: 5 reel video slot game. 20 pay-lines. Includes free spin feature. 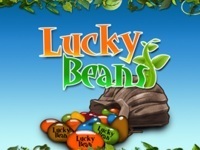 Bet 1 to 20 coins Free spin feature is triggered when 3 or more scatter (Love Meter) symbols appear during which all prizes are tripled 3 Love..
Lucky Beans is a 5 reel slot game with 30 paylines and a number of exciting bonus features like random cash, random multiplier, Free Spins and Lucky Beans Bonus. 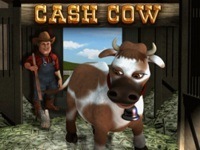 'Jack' is wild and will substitute for all symbols except..
Cash Cow is a 5-reel video slot game with 50 paylines, wins of up to 50,000 coins, and an extreme number of various bonus features, including special scatters, random free spins, re-spins, mistery prizes and bonus..
Amanda Panda and the Jackpot Journey is a five reel, twenty-five pay-line video slot game with a fantasy adventure theme! 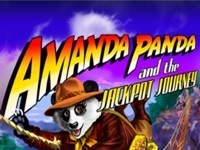 the Scatter Amanda Panda symbol which multiplies any wins when it appears in any position and the..
Cherry Blossoms: 5 reel video slot game, 25 pay-lines. Win up to 25 free spins. 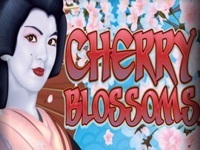 Play 1 to 25 pay-lines 3 or more scatter (Cherry Blossom), symbols trigger free spin feature 3 scatter symbols trigger 15 free..
La Fiesta is a 5 reel video slot machine game with 25 paylines and a pick-a-prize bonus game. Bonus feature is triggered when 3 or more Pinata symbols appear anywhere on the reels. Break up to 4 Pinatas in each bonus..
Vampire Vixen is a 5 reel video slot machine game with 25 paylines and free spin bonus feature. Play Vampire Vixen slots instantly, download software, play on your Mobile phone or tablet. 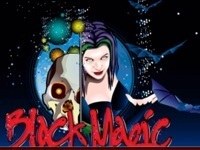 3 or more scatter House symbols..
Black Magic is an exciting 5 reel, 25 payline slot game that features excellent graphics, Wild & Scatter symbols and a guaranteed win Bonus Round. 3 Full Moons open the door to the Bonus Round where you'll uncover 6.. 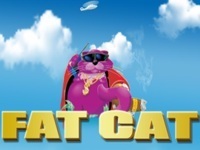 Fat Cat: 5 reel, 20 pay-line video slot. Includes Wild symbol, Scatter symbol and bonus feature. Maximum bet $5.00 per pay-line ($100) Fat Cat symbol substitutes for all other symbols except Dollar Sign Dollar.. The Vegas Party is an exciting 5 reel, 25 payline, online slot game that features sharp graphics, Wild & Scatter opportunities and free spin bonus feature. 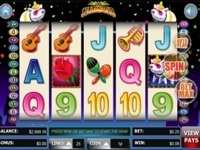 Based on a Vegas party theme, the slot can award you with up to.. Birds of Paradise is a 5 reel video slot game, offering 25 paylines and free spin bonus feature. Play Cash Caboose instantly, download software or play on your Mobile device. 20 Free spins are triggered when 3 or more..
Wheel of Chance is a classic 3 reel, single payline slot machine with great Wheel of Fortune style bonus feature. Developed by Odds On Gaming, the game has also Wild symbol - Diamond - that can bring you top 2,400..
City of Gold is a 5 reel video slot game with 25 paylines and free game style bonus feature. Activate 1 to 25 paylines with coins from 1 cent. Free game feature is triggered when 3 or more scatter Archway symbols appear..
Caribbean Gold is a Pirate themed 5 reel video slot game with twenty-five paylines. Compass symbol is Wild and substitutes for all other symbols except Scatter Treasure Chest. In the bonus game you'll select from 15..
One of the most popular five reel video slots at Miami Club, because, hey, everybody loves chicken, right? Who's up for a game of Chicken? Funky Chicken is endless fun. The five reels and twenty five pay-lines allow for.. Birds of Paradise is a 5 reel video slot machine game, offering 25 paylines and Re-Spin bonus feature. Play Birds of Paradise slot in Flash format, download software or play on your Mobile device. 5 Re-Spins are..
Monster Money is a 5 reel video slot machine game with 25 paylines and Monster Money bonus round. Monster Money bonus is triggered when 3 or more scatter Electrical Rods appear anywhere on the reels. Select 5 of 8 doors..
Irish Luck is a 1 payline slot machine developed by WGS. rr Lucky Irish! The beautiful redhead that you see when you play Lucky Irish free slot is the Wild symbol. It arranges reels and stands in..
Jester's Wild: 30 payline video slot game with multiple bonus features. Jester's Wild: Jester symbol in any position on the center reel will trigger the bonus feature The Jester will randomly replace 4 symbols on..
Amazing 7s - 5 reel, Option based 25 pay-line slot. Amazing 7s is an option buy slot game Play 1-25 pay-lines and up to 3 credits per line Active pay-table depends on the number of credits played Play 2 credits..
Cash Caboose is a 5 reel video slot game, featuring 25 paylines and free spins bonus. You can play Cash Caboose instantly, download software or play on your Mobile device. 3 or more scatter Caboose symbols trigger free.. Play 1 to 25 pay-lines Minimum wager = $0.01 (1 cent) Maximum wager = $10 per pay-line ($250.00 total wager) All symbols pay left to right except scatter Orb which pays any Dragon Slayer symbol substitutes..
Tiki Lounge is a 5 reel video slot game with 25 paylines and free game bonus feature. Free games are awarded when Girl symbol appears on reels 1 and 5 at the same time. You'll get 20 free games during which all prizes..
20,000 Leagues is a 5-reel, 25 payline slot game featuring a bonus round with up to 40 free spins. Winning symbols include submarines, sailors, divers, treasure chests and sharks, of course. The draw to this game is the.. Funny Moolah is a 5 reel, 25 payline video slot with 1920s Chicago gangster theme, free spins and bonus feature. Boss Man substitutes for all symbols except Scatter Night Club. 3 Night Club symbols triggers 10 free.. Cool Bananas: 5 reel, 25 pay-line video slot game with free games feature. Mighty Monkey substitutes for all symbols except Banana (Scatter) Prize is doubled if one or more Mighty Monkey substitute in a winning..
Solomon's Mines is a 5 reel video slot game with 25 paylines and a bonus feature. Solomon's Mines feature is triggered when 3 or more scatter Journals appear on the reels. Choose between 2 vases. Win a random prize if..
Cleopatra's Pyramid slot machine is a new 5 reel, 20 line slot offering over 40 winning combinations, bonus feature and Australian style free spins award. Cleopatra is Wild symbol and can deliver top win of 10,000 coins..
Northern Lights is a 5 reel video slot machine game with 25 paylines and a bonus feature. Bonus game is triggered when 3 or more scatter Aurora symbols appear on the reels. Select Iceberg for the Polar Bear to jump.. Beat The Bank is a 5 reel, 25 payline slot machine game with Wilds & Scatters, Free Spins and exciting Safe Cracking Bonus Feature. The slot has the popular format that may be seen in the most recent "As Seen in Vegas"..
Three times ten times wilder than any 3 reel slot game you've ever seen! Triple 10x Wild is a real wolf in sheeps clothing 'cause it's jam-packed with features. The top jackpot is won when 2 3x Wild symbols combine with.. Triple Rainbow 7s is a 3 reel, 2-coin, single payline slot machine. Minimum bet is $0.01 (1 cent), while the maximum bet is 2x $10 = $20 per spin. Triple Rainbow 7 symbol is Wild. Single Wild triples (3x) your payline..
3x Wild Cherry is a 3-reel, one payline progressive slot machine game that is connected to WGS (Vegas Technology) powered online casinos. With a bet of just $0.25 per spin you can win the progressive jackpot. 3x symbol..
Crazy Cherry is a single pay-line 3 reel slot game with a wild cherry symbol that completes all paylines. CRAZY CHERRY is a single pay-line slot machine, which means that payouts occur on the center pay-line only. For..
Liberty 7s: 3 reel, single pay-line slot. All Red, White and Blue… Minimum bet is $0.01 (1 cent) Maximum bet is 3x $10 ($30) Any 7 pays 80x single coin value. 160x 2 coin value, 240x 3 coin value 3 Blue 7s pays..
Lucky Fruity 7s is a 3-reel, single payline and 5-coin slot machine. Logo is a special symbol that gives you extra credit. The logo is the most rewarding icon - 3 logos pay 1,000x your line bet. Double Gold: 3 reel, single pay-line slot with wild symbol. Maximum bet is 3x $10 ($30) Double Gold symbol is Wild Single Wild = 2x total pay-line win Double Wild = 4x total pay-line win Triple Wild = 800x.. Triple Flamin' 7s: 3 reel, single pay-line slot, all 7s . Maximum bet is 2x $10 ($20) Triple Flamin' 7 symbol is Wild Single Wild = 3x total pay-line win Double Wild = 9x total pay-line win Triple Wild =..
Lucky Irish is a 1-payline, 3-reel slot machine that includes a wild pot of gold that completes any winning combination PLUS a Bonus Leprechaun who guarantees a win! The Lucky Irish symbol is Wild Multiplier and.. Triple Triple Gold: 3 reel, single pay-line slot. Play 1 to 3 coins. Minimum bet is $0.01 (1 cent) Maximum bet is 3x $10 ($30) Triple Triple Gold symbol is Wild Single Wild = 9x total pay-line win Double.. Triple Gold is a 3-reel, one payline and 3-coin slot machine game. Game's Logo is the Wild symbol that triples your payouts. The logo is the most rewarding sign - 3 logos pay 5,000x your line bet! Other paying icons -..
CASH GRAB is a single pay-line slot machine, which means that payouts occur on the center pay-line only. For every coin that you put in you increase your payout. When the reels stop spinning the symbol combinations..
Jacks or Better: Single hand video poker The name "Jacks or Better" refers to the fact that the lowest (or least valuable) standard poker hand that will payout in this game is a hand containing at least a pair of..
Tens or Better WGS is a 1 payline slot machine developed by WGS. Play Tens or Better video poker from WGS (former Vegas Technology). Win up to 500x your bet with Royal Flush! Dig The Treasure is a simple Flash-based arcade-type game where you need to choose the spot to dig the treasure. It's just like a joke - try it out yourself right now, it's free. The game is presented by Caribbean Gold..
Monte Magic is a classic 3 reel, one payline slot machine offering a number of winning opportunities, bonus feature and Wild symbol. Magician's Hat is Wild and can deliver you top prize of 2,400 coins (up to $24,000 a..
"Princess Jewels is a 5 reel, 9 payline video slots game with great bonus feature. The slot was developed by Odds On (Vegas Technology) and can be found at English Harbour NV online casinos. Developed on a new Vegas.. The Reel Deal is a 5 reel, 20 pay-line slot machine game with great animation and sound effects. The game is based on the popular TV show "Deal or No Deal" and offers tremendous winning opportunities through Wild &..
What's Your Sign slot machine is a 5 reel, 12 payline slot offering over 52 winning combinations and unique bonus round feature with Zodiac wheel. Sun is the Wild symbol and can deliver top win of 10,000 coins or up to..
Wheel of Chance is a new 5 reel, 20 payline video slot version of the popular 3 reel slots game with the same name and amazing winning opportunities due to "Wheel of Fortune" style Bonus round and Free Spins. The game..